It’s no secret that LPs are making a comeback. No, they’ll probably never replace downloads, or even CDs, in sheer numbers, but the format, left for dead in the 1980s, has regained status. In 2013, vinyl accounted for nearly 3% of all recorded music sales. Many popular rock groups now release their recordings on vinyl, in some cases exclusively. And that can present a problem for audio and music aficionados whose electronics lack a phono stage or preamp that can boost the very low output of a phono cartridge to a level an integrated amp can use. 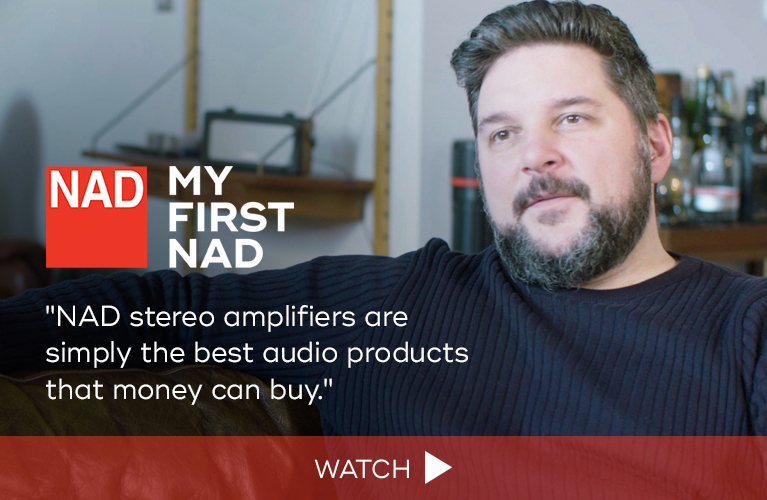 After CDs became the primary medium for music, there was little reason for manufacturers to expend the extra money necessary to include a phono stage in their integrated amplifiers, preamplifiers, and receivers. Most such models built from the mid-’80s to the present have only line-level inputs. 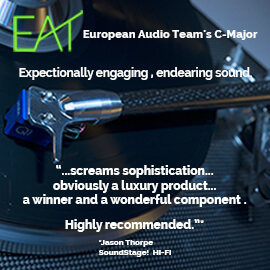 For that reason, companies such as Cambridge Audio offer phono stages for modern electronics. The Azur 651P ($249 USD) is the top such model in Cambridge’s line. The Azur 651P is a metal box measuring only 8.5”W x 1.8”H x 5.2”D, available in silver or dark gray. The front panel is very simple: at the extreme left are an off/on switch and a tiny LED, and that’s it. The rear panel is well populated, with, from left to right: stereo moving-coil RCA inputs, stereo moving-magnet RCA inputs, a turntable ground, a switch to choose between MM and MC inputs, a subsonic filter off/on switch, stereo RCA output jacks, and a jack for power from the wall-wart power supply (provided). The subsonic filter is there to eliminate any undue low-frequency resonances caused by the combination of a tonearm and cartridge that could wreak havoc on electronics and speakers: a woofer activated by a subsonic signal is not a pretty sight; the action can actually destroy the cone. 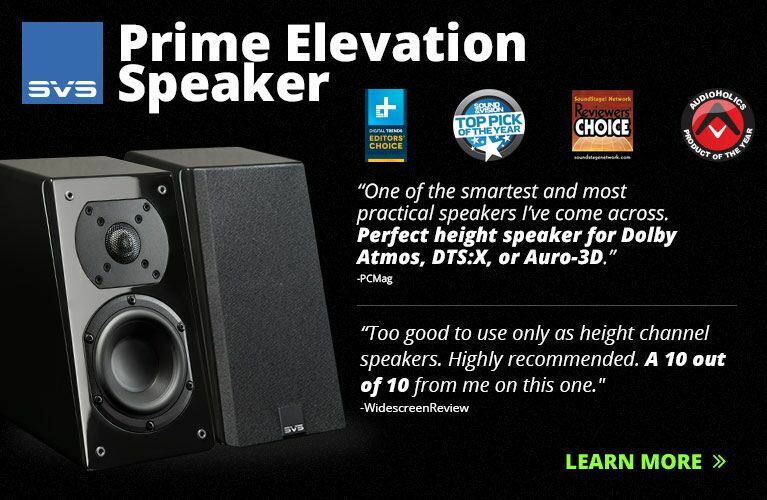 According to Cambridge Audio’s website, the Azur 651P is designed to offer high-quality amplification and accurate RIAA equalization. The input stages contain discrete low-noise transistors instead of the more common integrated circuits, while the gain stage is single-ended class-A, with minimal negative feedback. The RIAA equalization circuit is passive and uses, in CA’s words, “multi-parallel capacitors to achieve exceptional RIAA accuracy of only 0.3dB up to 50kHz.” Parts and assembly quality are top-notch. The warranty is three years, parts and labor -- pretty good for the price. The 651P’s MC input is designed to accept an input of 0.5mV at 100 ohms impedance, the MM input for 3.5mV at the typical loading of 47k ohms. The rated capacitance for both is 220pF. These specifications are relatively typical. Distortion is a minuscule 0.005% for MM, 0.002% for MC. The claimed frequency response is a very good 20Hz-50kHz, ±0.3dB. 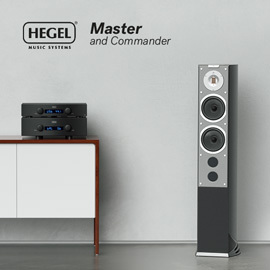 My system remains as it has been, with a Dual CS5000 turntable and Shure M97xE cartridge plugged into the MM input of the Azur 651P, in turn connected to the Aux input of my Linn Majik-1P integrated amplifier. The Linn, my reference since 1996, replaced a McIntosh Laboratories C27, largely because the Linn’s phono stage blew the doors off the Mac’s. While the Majik’s output of about 45Wpc into 6 ohms is not great, my powered subwoofer takes a lot of the load off the Linn; I get unstressed sound at all reasonable volume levels. John Bevier of Audio Plus Services, Cambridge Audio’s US distributor, strongly urged that I let the Azur 651P burn in for 36 hours before doing any serious listening. I did. However, even when right out of the box, the 651P had a very clean, very full sound. When I began to listen for real, that feeling grew only stronger. The first track I sampled was “50 Ways to Leave Your Lover,” from Paul Simon’s Still Crazy After All These Years (LP, Columbia PC 33540). From the first drum roll, I marveled at the fullness of the drum set, followed by the very distinct placement of Simon’s voice. There was great detail, and his backing band sounded quite natural. Much of this is due to the superb engineering by the late Phil Ramone, but the Azur 651P can take some credit. Next was Simon’s former partner, Art Garfunkel, and his version of “Finally Found a Reason,” from Fate for Breakfast (LP, Columbia JC 35780). This one, equally well engineered by Roy Halee (who recorded most of Simon and Garfunkel’s albums), offered up exquisite detail on his ethereal voice. I’m something of a nut for detail, and Ramone and Halee deliver the goods. This recording placed Garfunkel out front; the accompaniment was close in, but the instruments were still distinct from one another, and the soundstage was steady as a rock. For something a bit harder rocking, I turned to “I’d Love to Change the World,” from Ten Years After’s A Space in Time (LP, Columbia KC 30801). Alvin Lee’s searing guitar bridge put me in air-guitar heaven through the 651P, while the quieter beginning, with the acoustic guitar, was reproduced flawlessly, with just the right amount of detail -- such as the slight sounds of callused fingers sliding over strings. The only disappointment was in the sound of the drums: listless, and not up to the standard of the other instruments. However, that’s what’s on this 1971 recording, and not the 651P’s fault. One tune I return to again and again is Jesse Fuller and Clint Ballard’s “You’re No Good,” as sung by Linda Ronstadt on her Heart Like a Wheel (LP, Capitol ST-11358). Through a good system, the extended final buildup of strings behind the electric guitar will raise the hairs on my neck -- one of the things that sold me on the Linn over the McIntosh. Well, the 651P did it too. The overall sound was outstanding, Ronstadt’s strong voice reproduced well, but never coming close to overload. To hear how the 651P would acquit itself with orchestral music, I played Aaron Copland’s Appalachian Spring, performed by the Atlanta Symphony Orchestra conducted by Louis Lane -- an early Soundstream digital recording transferred to analog (LP, Telarc DG-10078). The results were fabulous. The orchestra had a very spacious sound, with an amazing soundstage both very broad and very deep. While the high strings sounded very slightly muffled, the woodwinds were reproduced brilliantly, with excellent detail. The double basses’ lines were tight and musical. Only when the bass drum was struck loudly in one spot did anything seem amiss; it could have been a momentary cartridge/tonearm resonance. Otherwise, the sound was simply superb. “Take Five,” from the Dave Brubeck Quartet’s Time Out (LP, Columbia PC 8192), is another favorite, both for the tune and the recording. It features the exaggerated separation common to early stereo recordings: Brubeck’s piano hard right, Joe Morello’s drums hard left, and Paul Desmond’s alto sax and Eugene Wright’s double bass at the center. Otherwise, this is a truly exceptional analog recording, and everything on it works: the performance, the tune, the venue (Columbia’s ginormous 30th Street Studio in Manhattan). Each time I hear it, I wonder if Brubeck et al. realized they were creating a jazz classic merely by exploring the unusual time signature of 5/4. The 651P reproduced everything perfectly. For this stage, I brought out a big gun: the final movement of Saint-Saëns’s Symphony 3, “Organ,” with Eugene Ormandy conducting the Philadelphia Orchestra and organist Michael Murray (LP, Telarc 10051). Through the 651P, the sound was gorgeous. The low-bass pitches played with the organ pedals were thunderous, the high strings ethereal. The brass instruments were clear and very forward. The sound of the Linn’s phono stage was a bit more rounded and full, the strings slightly less prominent, not as airy or precise. The organ’s sound was more in my face than with the 651P, while both stages’ reproductions of the brass were excellent. With this recording, I give a slight edge to the Azur 651P. Next up was Manhattan Transfer’s cover of Joe Zawinul’s “Birdland,” from The Best of the Manhattan Transfer (LP, Atlantic SD 19319). My copy suffers from the pops and clicks resulting from 30 years of playing this track over and over, and those noises were more prominent through the Cambridge than through the Linn. Also, I didn’t like the placement of the voices in the soundstage via the 651P, although the vocal blend was quite good. However, the Linn put up even better vocal integration and better front-to-back separation. As with the other cuts, the Linn was a little mellower than the Cambridge. This round went to the Linn. “Money for Nothing,” from Dire Straits’ Brothers in Arms (LP, Warner Bros. 25264-1), presents the world’s widest drum kit. It spans the entire broad soundstage of this recording -- but only when listened to through good equipment. It did so with both phono stages, but slightly more with the Cambridge. The Azur 651P made the various instruments slightly more distinct in sound, with a very wide but only moderately deep stage. The Linn’s stage was very wide but fairly flat, the bass drum seemingly coterminous with Mark Knopfler’s voice. Overall, the 651P was slightly better with this track. I’ve auditioned somewhere between 15 and 20 phono stages, but until the Cambridge Audio Azur 651P, I hadn’t heard one that could hold a candle to the phono stage of my Linn Majik-1P integrated amplifier. But the 651P is every bit the Linn’s equal. It does what all good audio gear should: It gets out of the way and lets the music pour forth. It’s a component any vinyl-playing audiophile will appreciate, and at $249, it’s a steal. If you’re looking to add vinyl capability to your system, listen to an Azur 651P. You can’t do better at anywhere near its price.